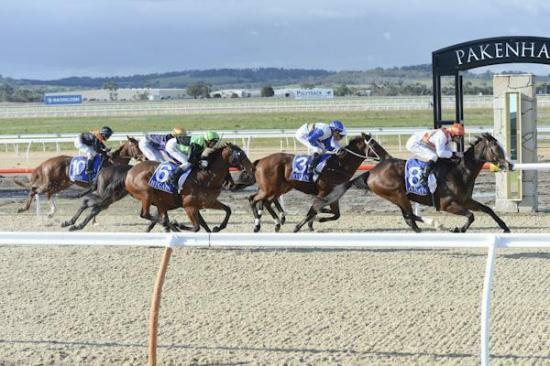 Mi Lads Princess produced a devastating turn of foot at Pakenham this afternoon to add another winner to the red hot form of Mornington-based trainer Tony Noonan. The former Sydney galloper had been sent to Mornington where she has flourished on the picturesque Peninsula to score in her fifth start for the stable after placing in her previous two starts. Crunched in pre-post betting, Mi Lads Princess jumped from barrier 9 as the $2.80 favourite where rider Jake Noonan eased her to the tail of the field with a hot tempo blistering along in front. Creeping into the race at the top of the straight, Noonan had given the leaders an 8L lead before pulling Mi Lads Princess to the centre of the course where she responded vigorously to storm home by 1.25L from Quaternian Eagle ($7) and Himalayan Wolf ($5.50). The win continued the stellar form for the father-son Noonan combination as their third winner for the week from just five runners. With Tony overseeing his runner Infantry at Royal Ascot, Jake offered his insight into stables success. “We’re having a pretty good run without him which might be the secret ingredient,” Jake said with a cheeky grin. The 4-year-old Dylan Thomas mare had been bred by owners Mario Sande and Elias Nassar.